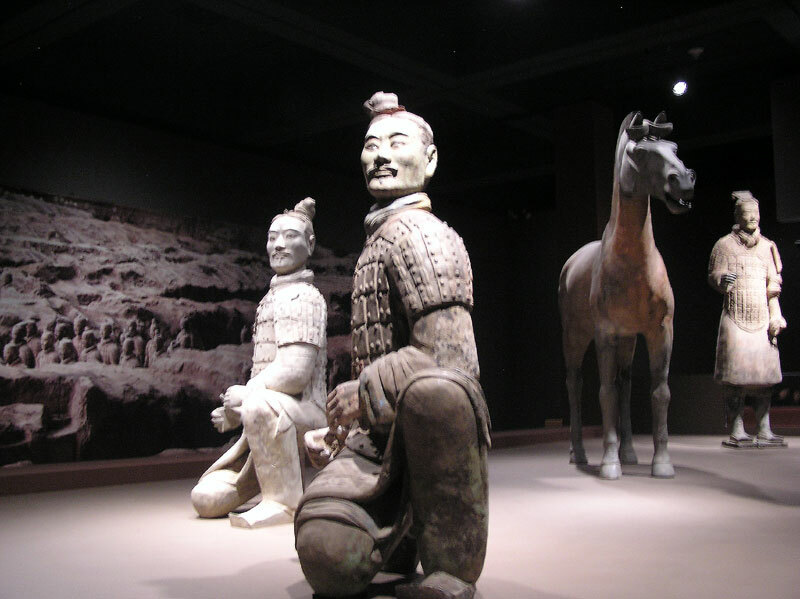 October 18, 2011 - Today we drove to the Bowers Museum in Santa Ana, CA to see their latest exhibit, "Warriors Tombs and Temples: China's Enduring Legacy". 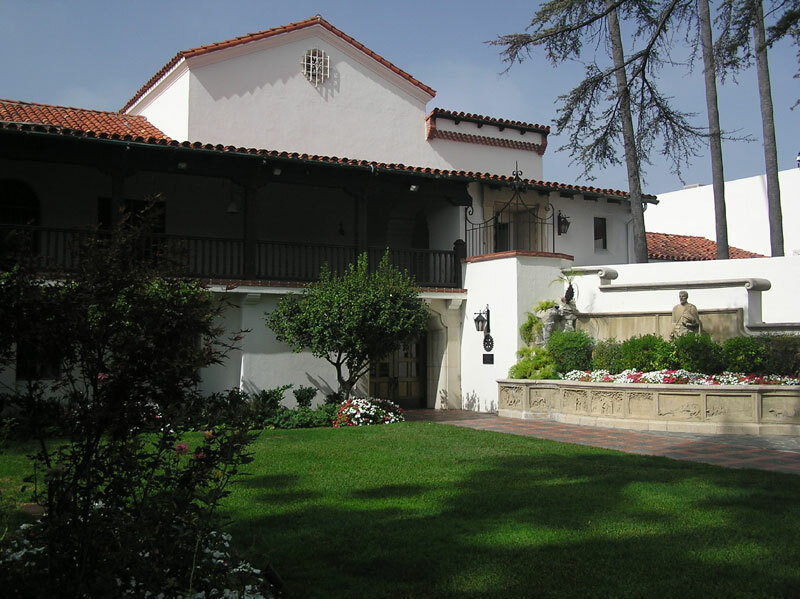 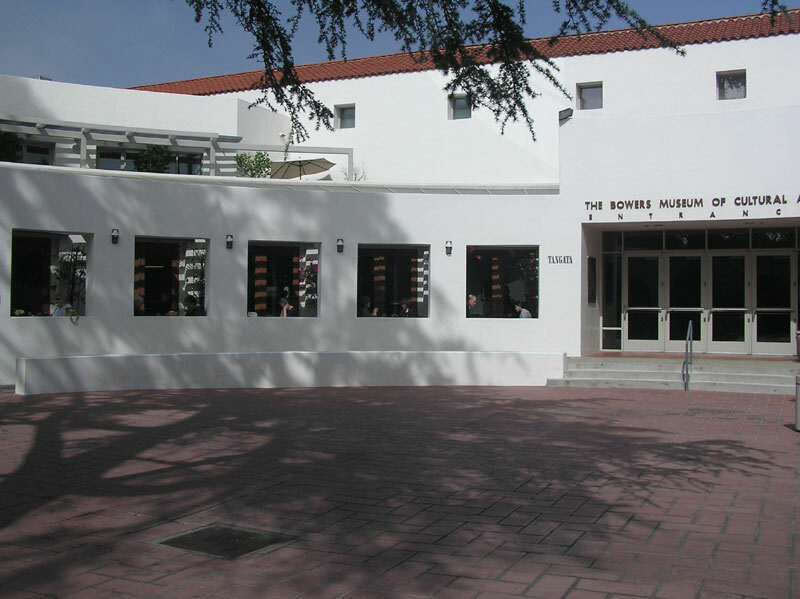 For a little background, it should be noted that the Bowers’s permanent collection is particularly strong in the areas of African, South Pacific, Asian, Native American, Pre-Columbian art, and California plein-air painting. 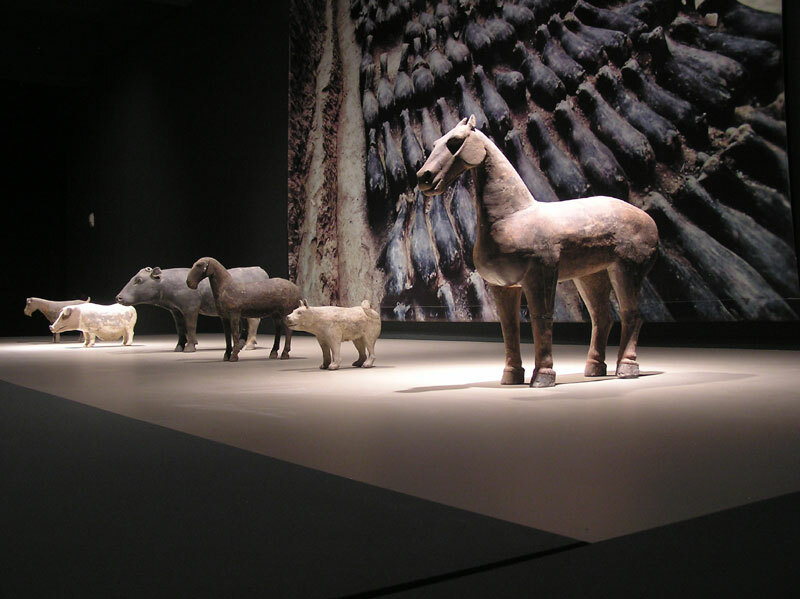 The museum has organized some of the most culturally significant exhibitions in history, including Secret World of the Forbidden City, The Dead Sea Scrolls, Egyptian Treasures of The British Museum, Tibet: Treasures from the Roof of the World, Terra Cotta Warriors: Guardians of the First Emperor and Secrets of the Silk Road. 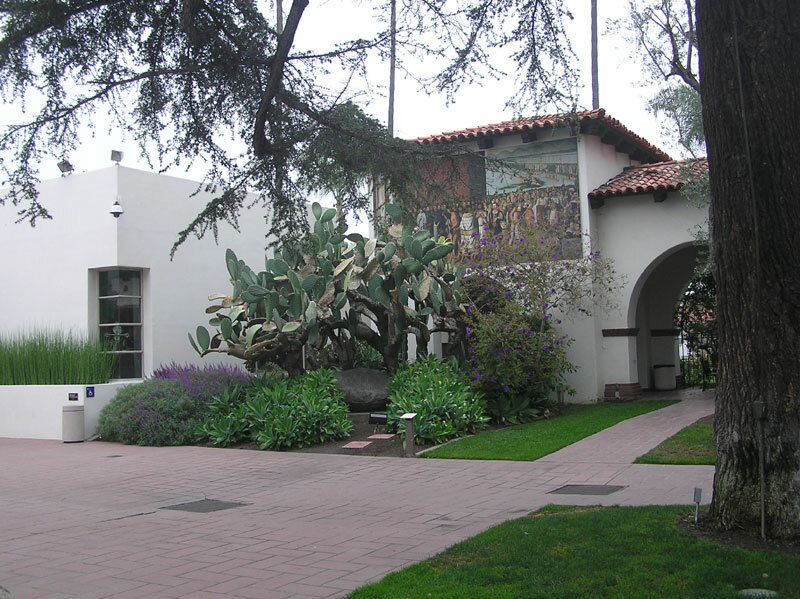 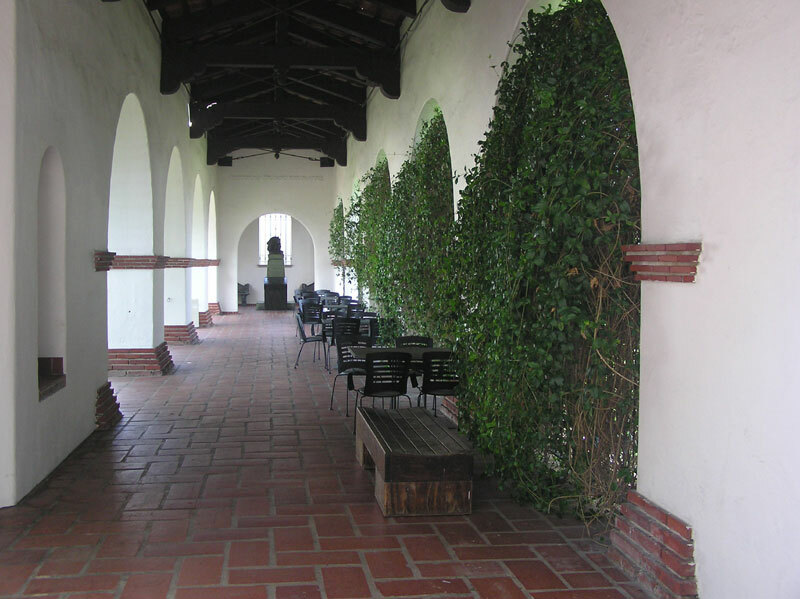 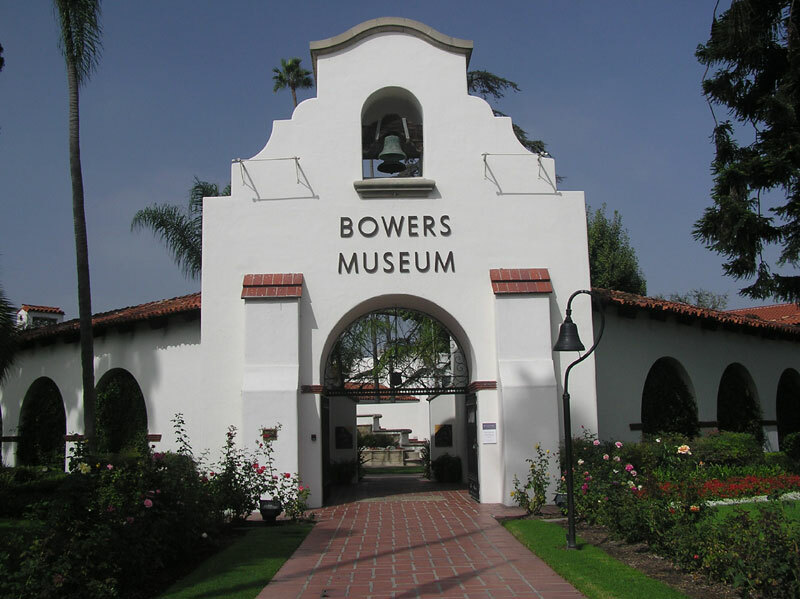 The Bowers Museum is Southern California's "Window to the World's Richest Cultures," and provides a dynamic and educational experience to museum goers. 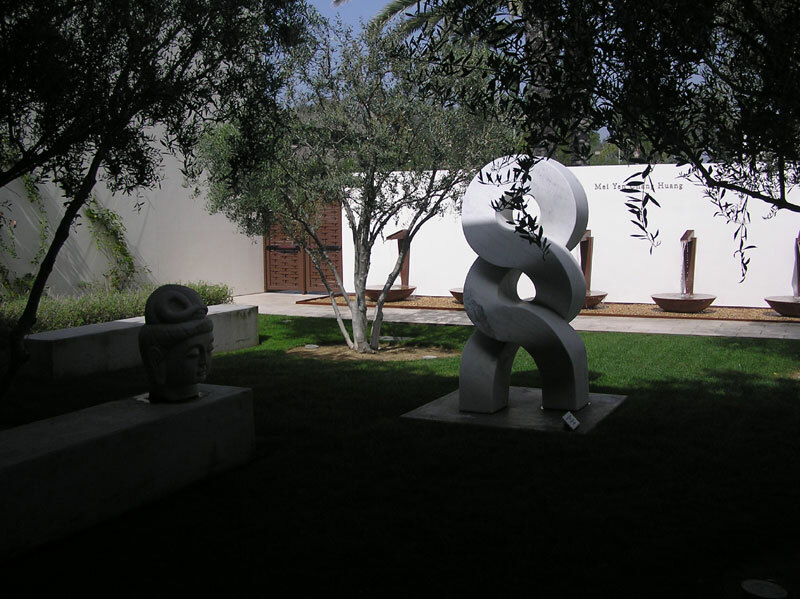 And now comes the main event. 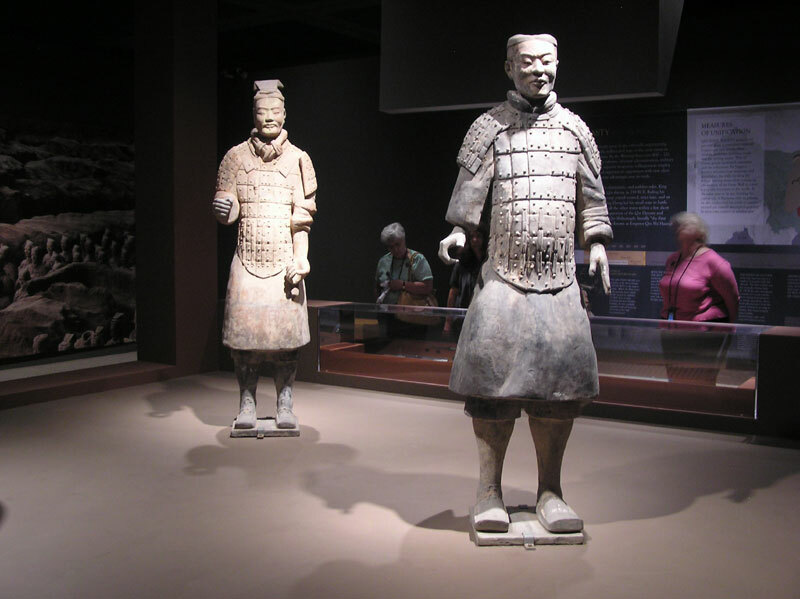 The "Warriors Tombs and Temples" is a collection of 200 incredibly preserved ancient works of art from three dynasties that form the foundation of Chinese civilization: the Qin (221 - 206 BCE), the Han (206 BCE - 220 CE) and the Tang (618 - 917 CE). 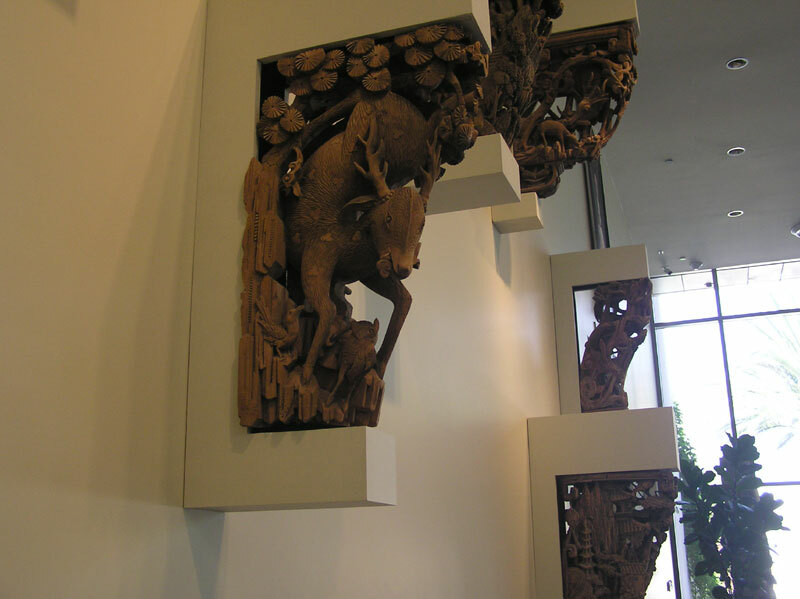 On loan from China, many of these artifacts are recent discoveries, having been unearthed from tombs and ancient Buddhist monasteries in and around each of these dynasties' capital cities. 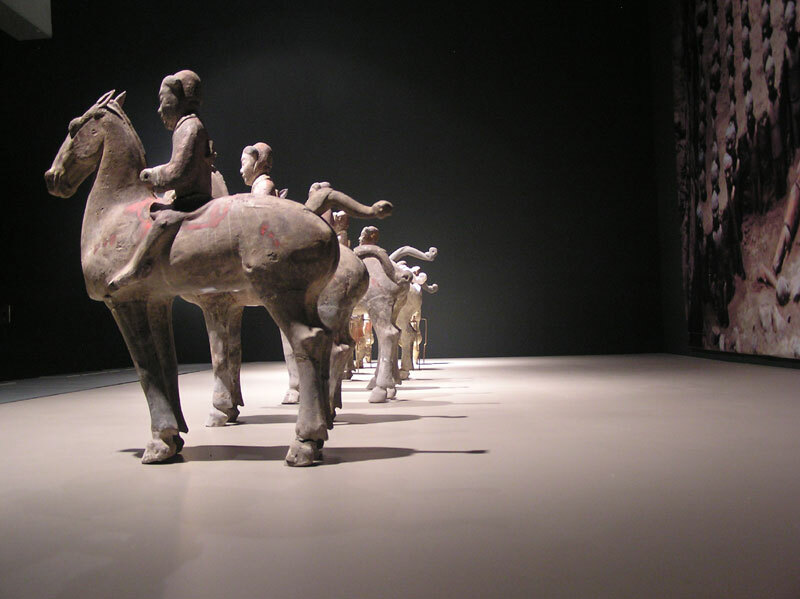 Over 6,000 of these terra cotta warriors, guarding the imperial tombs of these Emperors, have now been unearthed. 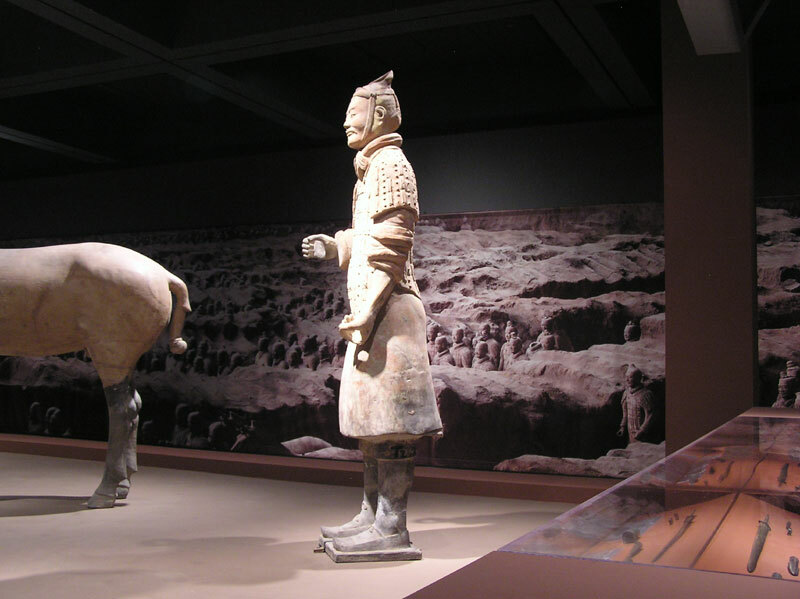 Standing warriors are life size and weigh about 600 pounds each. 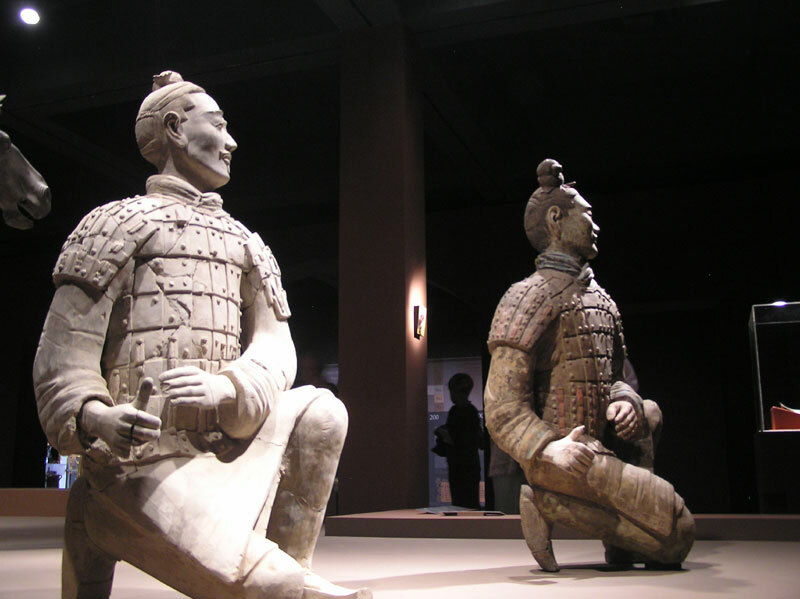 The photo mural on the left of the picture below shows how these warriors were originally placed in the tomb. 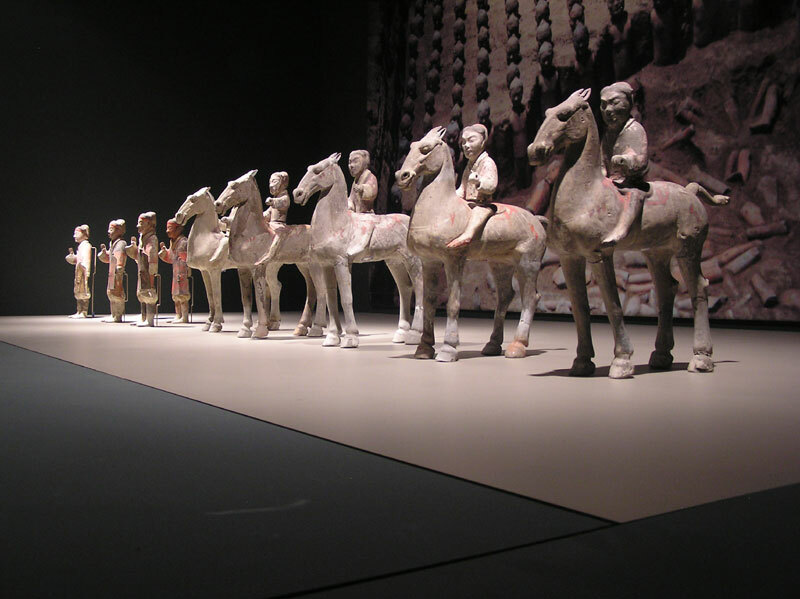 Terra cotta animals also accompanied the Emperor to fulfill his needs in the afterlife. 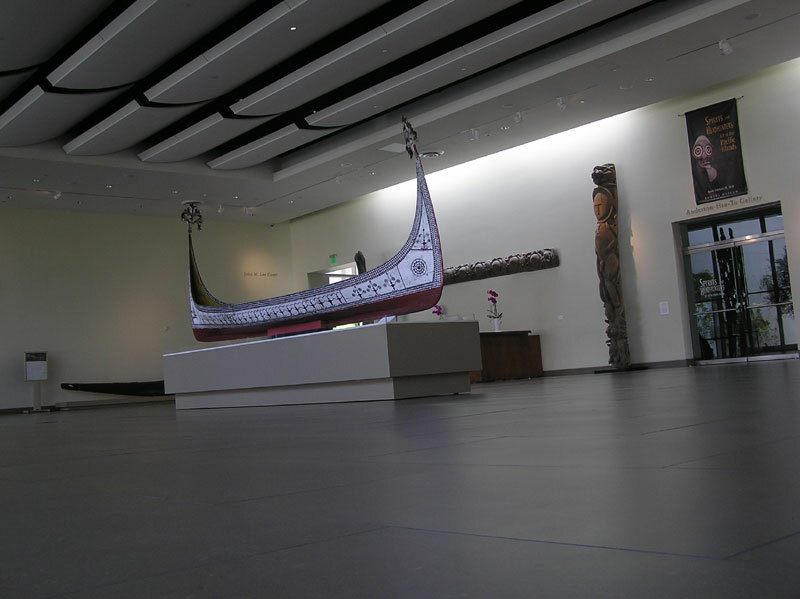 The restaurant located within the museum, Tangata, completed a wonderful day in this beautiful facility. 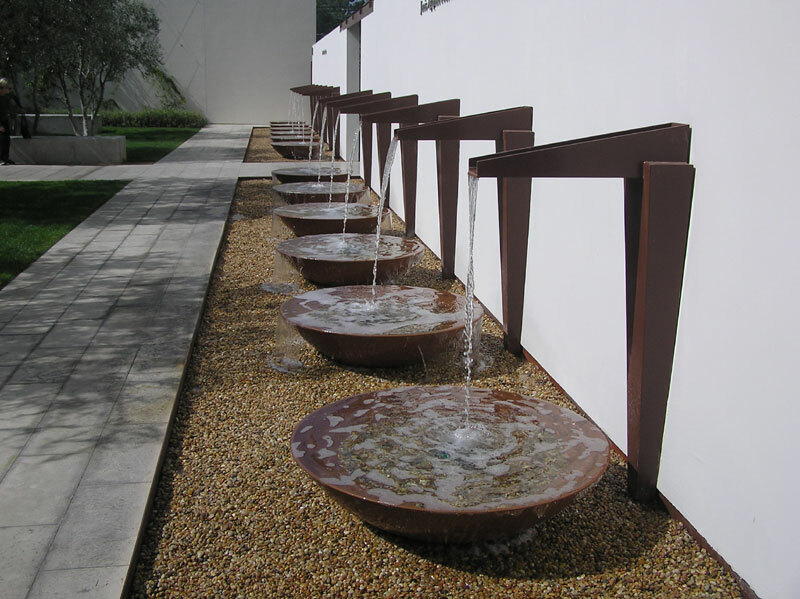 Tangata is a Maori term of the indigenous peoples of New Zealand and it literally means "mankind."